I don’t think that I can go on and on enough about Marie Claire Maison! You all know how much I adore this French decor magazine … and this feature below is no exception!–Just wish I could read some French … What I gathered from my limited French is that this church below is in Cape Town, South Africa and was renovated by an Italian couple. It is very exciting that I came across this church, as my historic preservation studio project this fall involves coming up with a reuse of an historic chapel building here in Philadelphia. 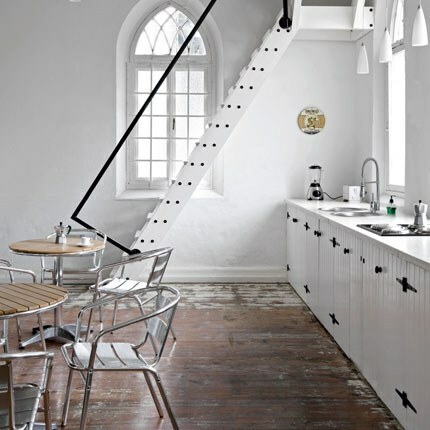 Churches can often be hard buildings to reuse, as their massing is very specific to their original use, and there are those who are superstitious enough to believe that sleeping in a church might be sacreligious. Not when the church is as fab as this one! All you lacquered lifers know how much I love the simplicity of an all white interior. Especially in a location such as Cape Town. In this space, the white interior allows you to appreciate the wonderful patina of the floors. Look at the rustic chic kitchen cabinets. The way that they extend all the way to the floor, instead of having a base, is very unusual–I love it. Makes it seem as though the cabinets really are part of the architecture, instead of an installed piece of furniture. How cool is that screen that divides the kitchen space from the eating space? What this does is allow for the delineation of spaces without disrupting the experience of the architecture of the building. 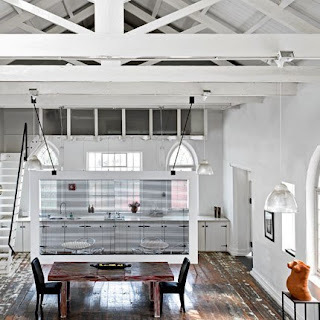 Oh how I adore these beams! 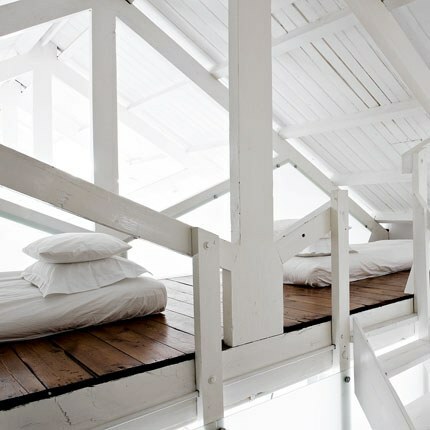 How would you like to sleep up in the rafters of this reused church? I am sure the view of the space and the experience of the architecture are absolutely divine. YES YES YES. You’re on the money miss lacquered life. Totally! 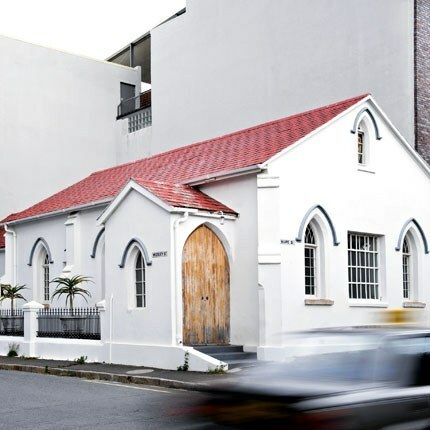 I have always wanted to convert, no pun intended ;), a church into a home! How divine for sure, heehee! Glad I found your blog via MOS!